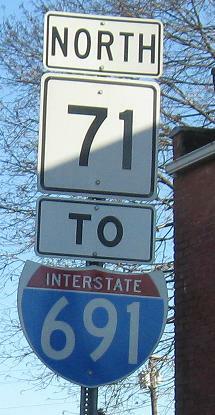 NB on either side of Main St. in Meriden, which used to be Alternate US 6 (later CT 66). 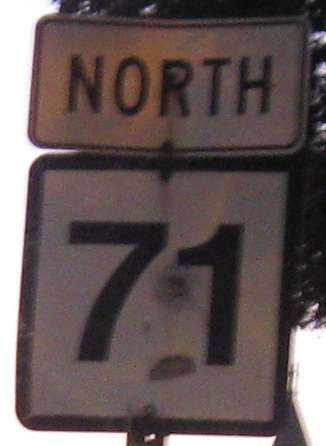 CT 71 south of here used to be Alternate US 5, making an interesting all-Alt multiplex to the east. The first assembly is as normal as you can get and still have a state-name shield, while the second is so sloppy Chris Avery would disown it. 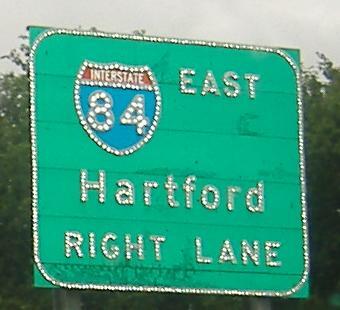 If you look up the keywords of that last phrase, you'll figure out what I mean. 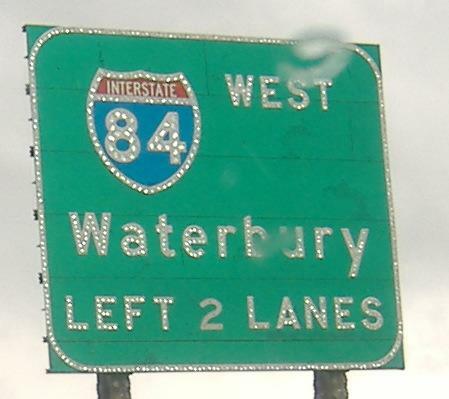 Which is worse, using a MA shield for a CT route, or filling in a 3-digit Interstate blank with a bubble shield? 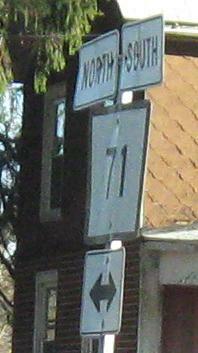 Two NB photos, one SB. 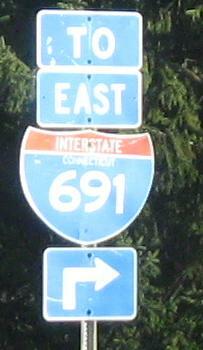 Many standalone I-691 shields are of this peculiar type; this one is pointing down Kensington Ave. to Exit 6, which completes the ramps of Exit 5 (for CT 71 directly). 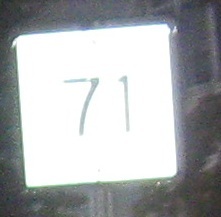 Old CT 71 and unusual I-691 shields on Lewis Ave. NB at Kensington Ave.
A bunch of old northbound shields, although the last assembly is better attributed to the end of CT 364 EB. 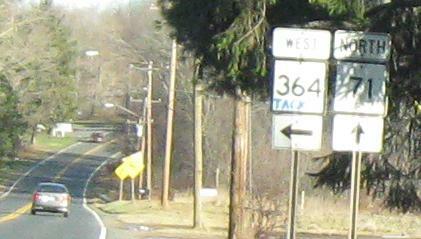 White distance signs are getting extremely rare now. 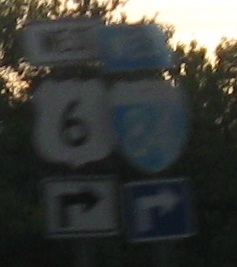 This is SB at Robbins Rd. 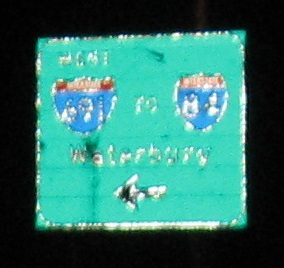 NB at Ridgewood Rd., Farmington, which forms part of the I-84 Exit 40 interchange with CT 71. 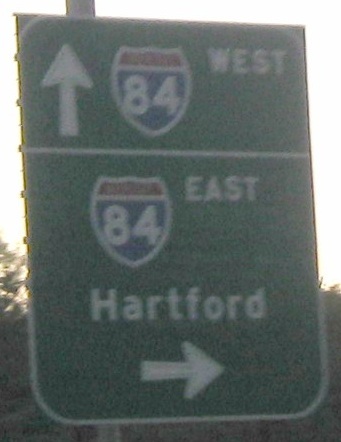 CT 71 was meant to be upgraded to a freeway connecting into Hartford. 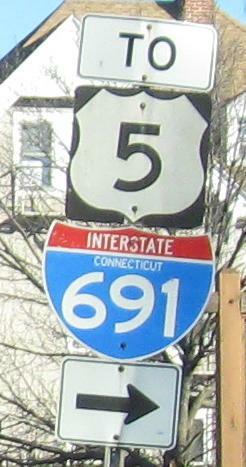 The stub of this freeway was built from I-84 at Exit 45 and is now numbered secret CT 504. 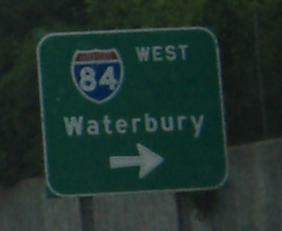 SB past the other part of the interchange to Ridgewood Rd. again. 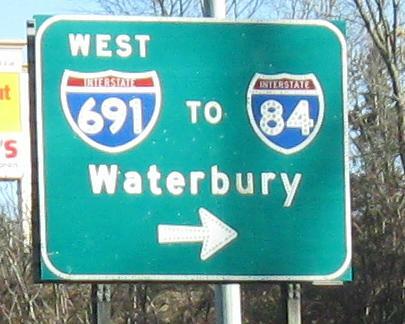 US 6 is almost never mentioned on its many I-84 multiplexes, so this is a breath of fresh air. 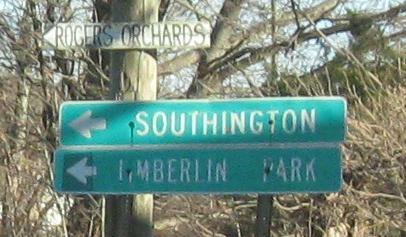 The beginning of the route from CT 173 SB. 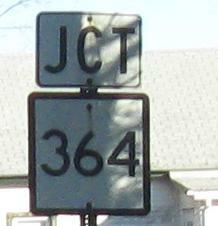 Given the use of Helvetica in the JCT banner, just take it down.